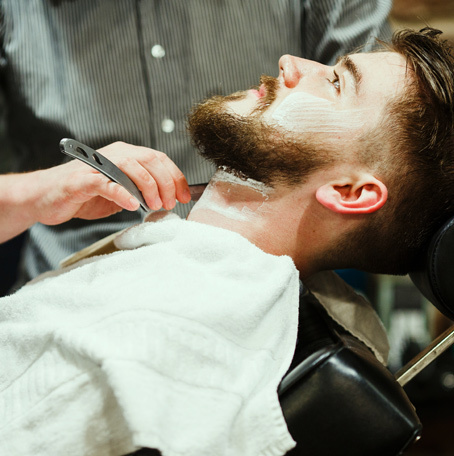 We pride ourselves on surpassing every expectation when it comes to gentleman’s grooming. 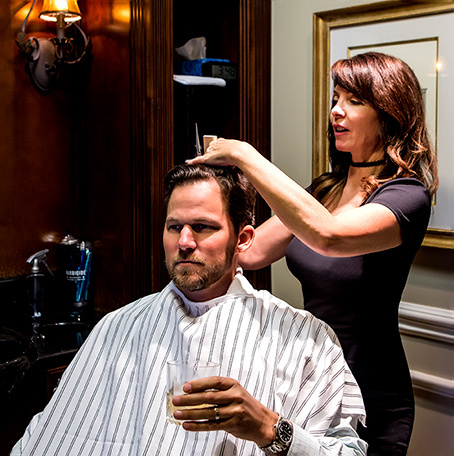 Relax with a beverage of your choice in one of our semi-private stations knowing that one of our experienced Master Barbers or Stylists will perform your selected services beyond your expectations. We allocate plenty of time for each appointment to ensure our artisans can provide the personal attention and precision service you deserve. For the man on the move who only has time for the essentials. Consultation, invigorating shampoo, precision cut, dry and style. (30 minutes) *New clients automatically receive complimentary upgrade to Signature Haircut.